You may recognize her from roles appearing in Smallville, NCIS, 24: Legacy, the recent Twin Peaks reboot or Marvel’s Agents of S.H.I.E.L.D. 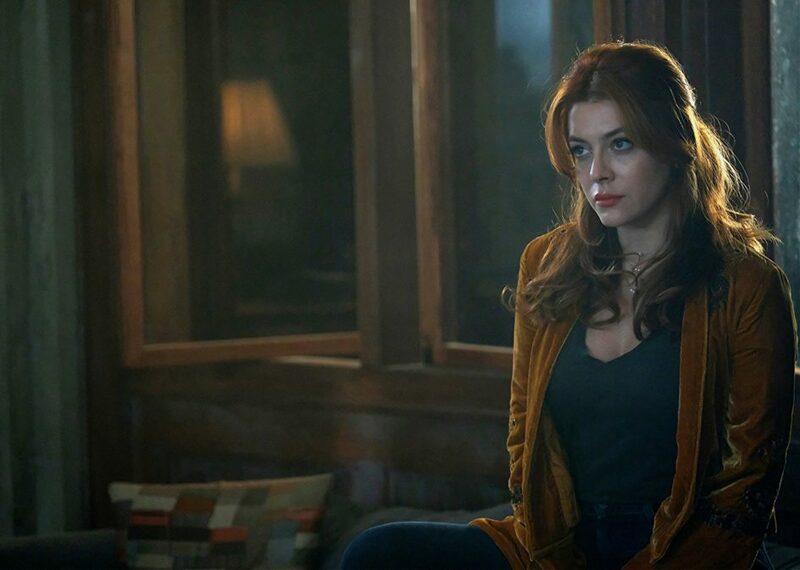 She’s even appeared in a Spider-Man workshop on Broadway and Chris Cornell’s video short, among other formats, but one thing is crystal clear: Elena Satine is a superhero for the pop-culture crowd! Most recently, Satine appeared in Fox’s The Gifted as Sonya Simonson/Dreamer, a mutant with an uncanny ability to insert, remove and read people’s memories, as if by blowing some dust into their face. Her character was involved in a love triangle between John Proudstar/Thunderbird (Blair Redford) and Clarice Fong/Blink (Jamie Chung), which was never fully addressed or resolved through the mid-season finale. She played an important role in the show’s first 10 episodes, but it’s unclear if her character will be returning for the latter half of the season, after receiving a gunshot wound while being detained at Trask Industries. If she doesn’t return, it’ll be a shame, as she’s quickly become one of my favorite characters on the show, who is integral to moving the overall storyline forward. But if she doesn’t return, it would also follow the form of her past high-profile roles, as they provided great exposure, but they never lasted very long. The actress also previously appeared in Smallville as Mera, meaning she has appeared within the DC TV Universe, the Marvel Cinematic Universe and now the Fox Cinematic Universe… that’s the mighty triumvirate! Hopefully, she won’t abandon the superhero genre all together, where she seems to have found her entertainment niche. Because of this, Elena Satine is an official superhero for Zombies In My Blog! So, where will she end up next? Apparently, Satine is a huge horror buff, and seeing her make her big-screen introduction to the genre would be a fantastic opportunity for the actress. It would be great to see her appear in a few genre-specific independent films produced by some already-successful filmmakers — maybe an upcoming project by James Wan or Jason Blum? — before she jumps head first into a well-established horror franchise. Might we recommend Halloween? We can totally envision her as a final girl in a variety of films, especially appearing as a strong female protagonist, fighting an all-powerful serial killer against all odds in a supernatural thriller. Take our money, now! We heartily endorse all talent agents to contact her immediately for the opportunity!